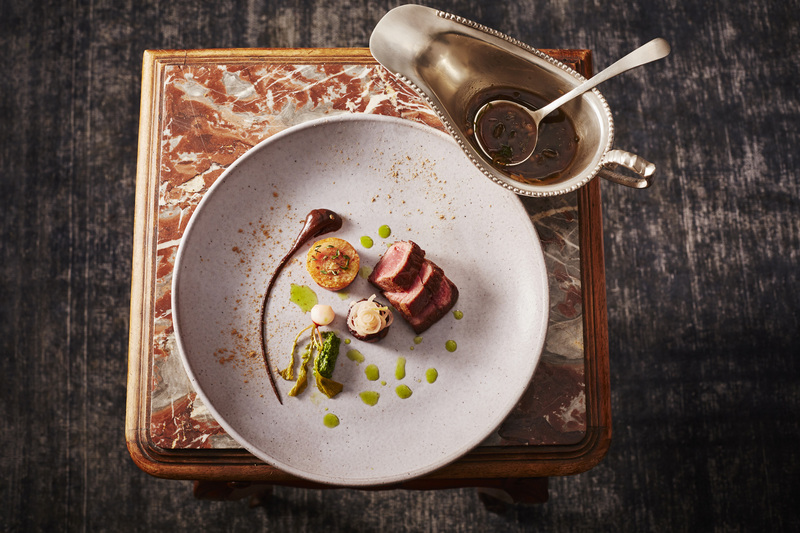 Tradition and irreverence collide in a sensory explosion that reaches beyond the menu and splashes itself upon the walls and floors, at this much talked about Cape Town contemporary restaurant. 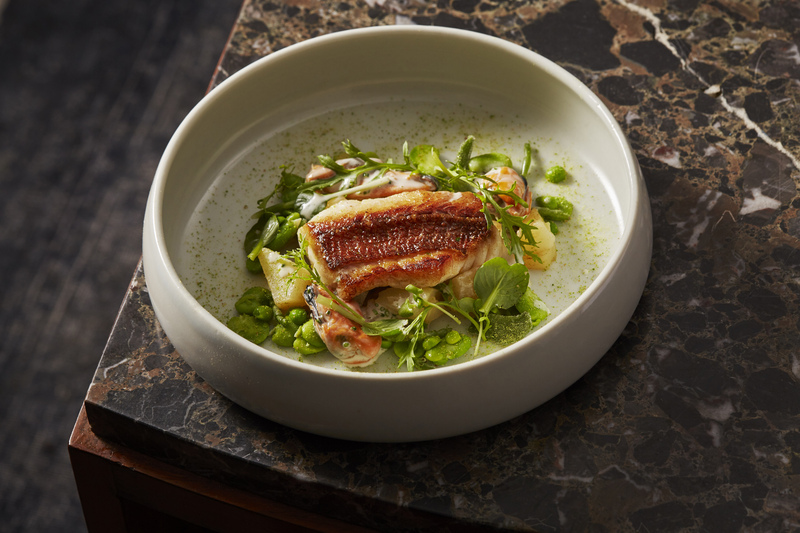 Salsify is the newest addition to the Luke Dale Roberts (of Test Kitchen fame) empire and brings a fresh new energy to one of our most historic landmarks – the Roundhouse. 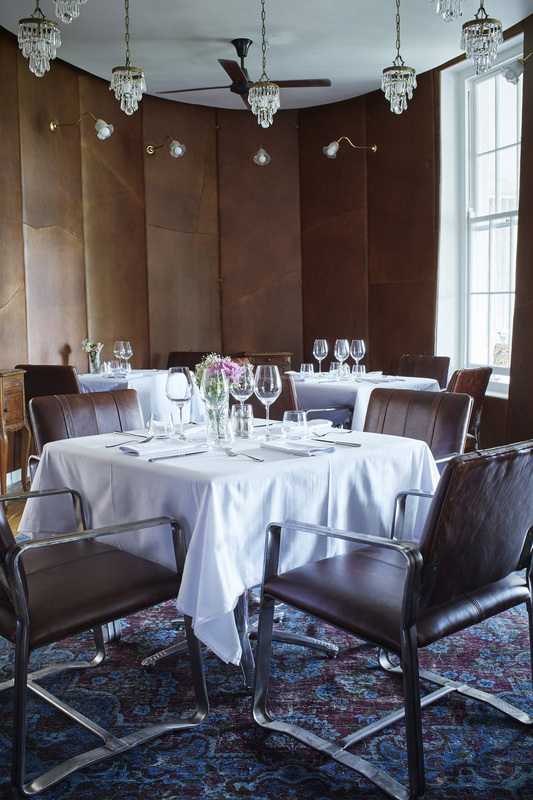 Previously a hunting lodge for the governor of the Cape, Sir Lord Charles Somerset, the Roundhouse in Camps Bay has undergone many a transformation over its long years, but none are quite so outrageous as this. The eclectic decor both pays homage to, and challenges the past. 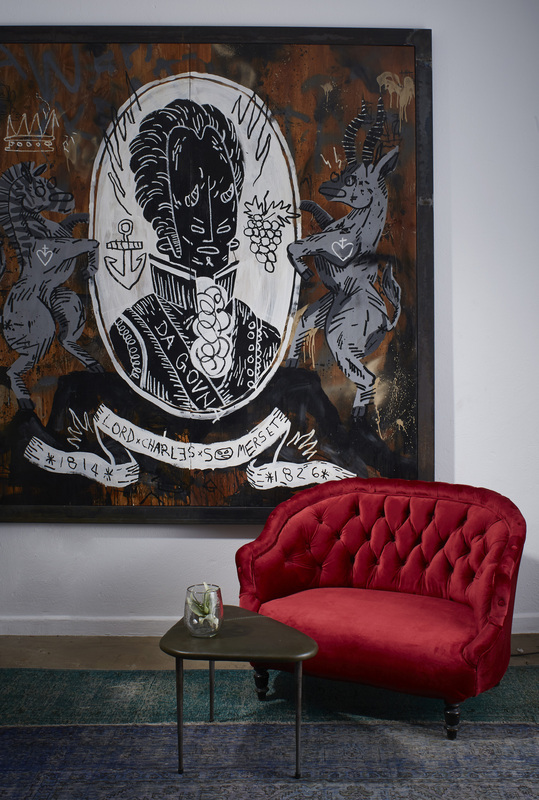 Avant-garde graffiti and monochromatic street art produced by international street artist Louis de Villiers, AKA Skull Boy, a South African artist now based in NY, is shocking to behold in an old manor house. However, that’s just the beginning. The real talking point is ‘Salsify’ herself – an Otto du Plessis bronze piece featuring the head of a bird of prey atop the body of a young woman with a carpet of cutlery at her feet. There is even a ‘selfie’ room, with a perfectly-placed mirror for those looking to capture the perfect Instagram shot. 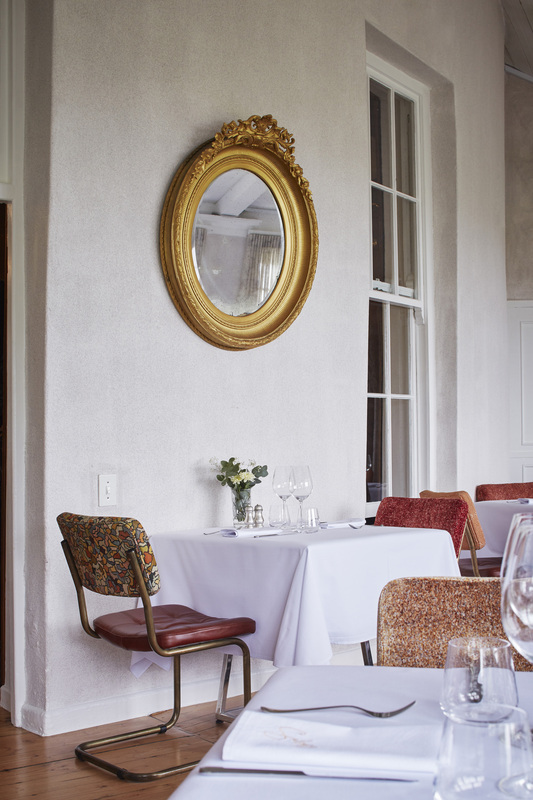 The dining area itself is a little more subdued, with velvety chairs, stripped wooden floors and of course, the iconic views of the Twelve Apostles mountain range and Camps Bay beach from the outer ring – reason enough to visit alone. The first course was a delicate Spring Minestrone Soup, with octopus and sea herbs. Our waitress finished it off with drops of dill oil, dripped from her spiny pipette. The next course (our favourite), can only be described as summer and happiness on a plate. Termed ‘the life of a sunflower’ the dish featured fire-roasted asparagus that rested on sunflower pesto and a creamy sunflower hollandaise sauce for dipping. Each dish involves a final flourish done at the table, both an opportunity to interact with the food and the friendly waitron serving it to you. A plump scallop (also seared), done in a curry sauce and bedecked with jewels of pomegranates and a crisp onion bhaji, preceded the line fish – the crispy and moist slice enlivened with a muscle velouté and layered with brown yeast butter, its salad of compressed beans and peas. The final savoury course, Peking Duck breast served with poached smoked plum as well as a walnut salsa and unbelievable jus, provided a satisfying meaty end (and the chance to sip on a red wine). One is not forced to choose between desserts, as you get to enjoy two! 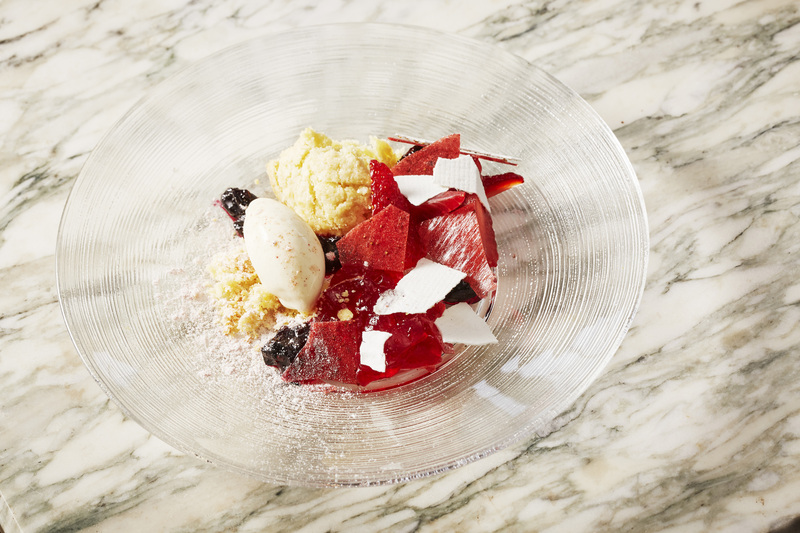 The first, a deconstructed ‘scone’ involves an apple and mint frozen yoghurt, raspberry jelly, vanilla milk shards and strawberry ‘glass’ as well as compressed strawberries. It is a sweet showstopper with a lot of texture. 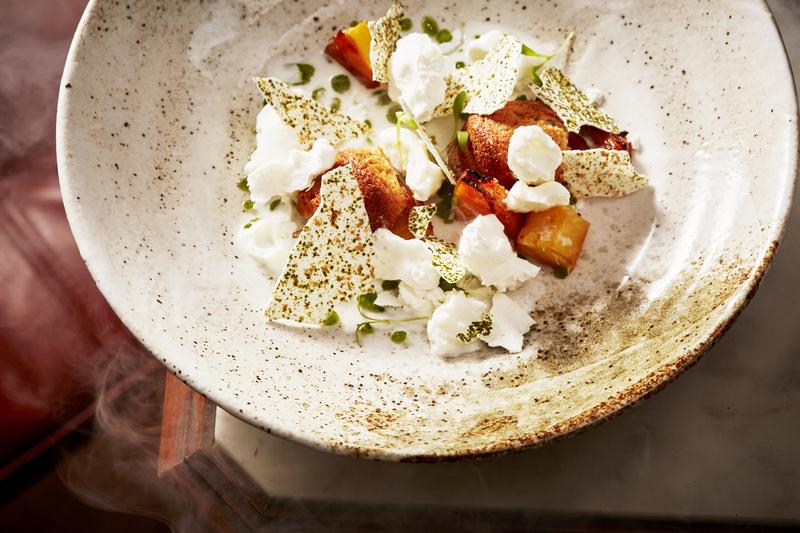 The next, a roasted pineapple creation, is served with coriander gel, cardamom and coconut sponge, goat kefir ice and a mango lassie, with coriander dusted meringue shards – a perfect pairing for the dessert wine that mimics its yellow hues. Chocolatey petit fours and macaroons nab any remaining sweet teeth in the bud (or palate as it were), and if you are feeling a little tired from the wine, do order a strong cappuccino to accompany them. 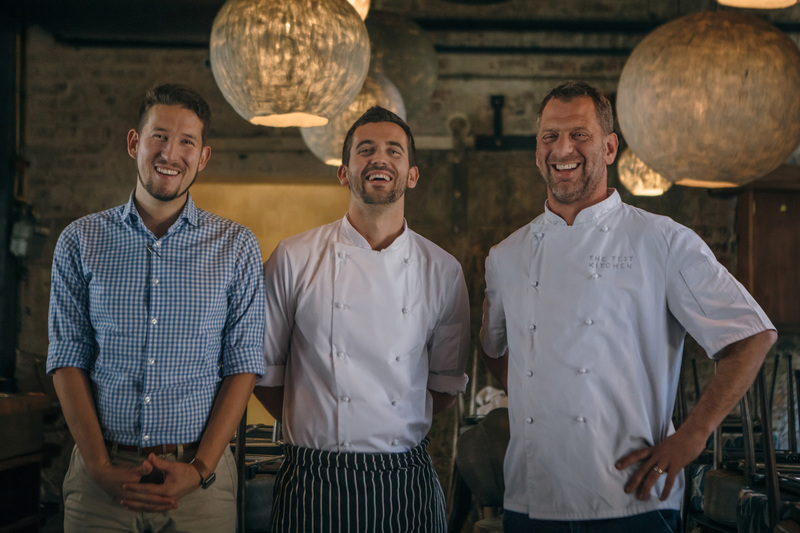 Chef Ryan changes the menu often (so feel free to keep coming back), inspired by the surrounds that add an unmistakable sense of place to this remarkable new establishment that has only catapulted Cape Town’s foodie scene into even greater heights. Visit the Salsify website for more information, as well as to secure your booking online.